JIM FACE!! What prompted this face? Andy looking for his cell phone. Dwight dressing up like Jim. Karen getting stuck with a squeaky chair. 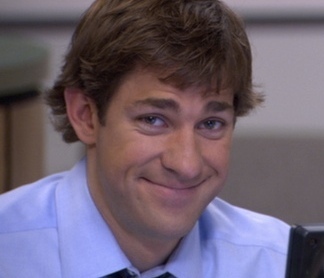 John Krasinski Asks "How You Doing?"